CanadaVet.com Blog: How much should my dog weigh? Keeping your dog at the correct healthy weight can be difficult. But what exactly is a "healthy" weight for dogs anyway? The answer to the questions "how much should my dog weigh?" or "is my dog too fat?" depends on a number of factors, but there are weight ranges that most dogs of a particular breed should fall in to. Below is a useful chart for many common breeds, but remember, it's a guide only. 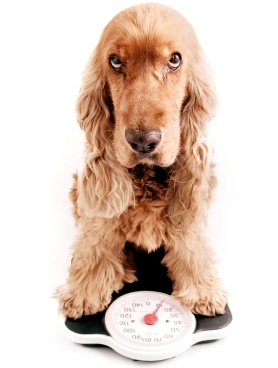 If you have any concerns about your dog's weight, refer to your pet health professional. CanadaVet.com 2012 Photo Contest Winners!